If you would like to expand your business, chances are that you will come across some obstacles and problems along the way. It is important that you are prepared for the challenges and have a Plan B for every occasion, or your expansion project might see you going out of business instead of growing. You will have to make your business growth and change sustainable, outsource and delegate, and manage every process without being caught up in the small details. Below you will find a few tips on how to avoid the most common traps. One of the main decisions you will have to make before you start expanding your business is whether or not your current business location and premises serve your needs. If you need more space, you will need to shop around, but also keep in mind the needs and preferences of your employees and customers. If you move too far, you might lose valuable workers and clients who simply don’t want to travel too far. Compare the prices and ensure that you can grow your operations without having to move again in a few years’ time. While you are dealing with managing change in your organization, you will have little or no time to deal with administration, accounting, and marketing your company. It is best to automate some of the processes, or you will end up in the middle of a chaos trying to untangle the threads instead of working on your growth strategy and overseeing the activities. You can automate your social media marketing, and save time and money on promoting your business while dealing with relocation and developing new services and products. You can never succeed without an advanced growth strategy. If you don’t have a business degree, you might want to talk to a professional who can help you plan the changes and stay in control, even when it is hard to manage multiple tasks and projects at a time. You need to pay attention to your cash flow, your employee and customer engagement, as well as your reputation and your public relations. When you are scaling up your operations, you simply have to increase your workforce productivity or the number of employees. This can be a challenging full time job itself, and it is important that you get professional help. You need to start by specifying the roles and getting help with creating a mock job description for each position you are planning to fill. You can contact a local employment agency so you don’t have to deal with the small tasks associated with hiring new people and read hundreds of CVs a day on top of your other tasks. You might have big plans for your business, but if you cannot get new customers in and increase your market share, you will simply increase your costs and not your profits. That is why you should explore new opportunities and develop services or value added products that will impress a new target market. It is not easy to penetrate a competitive market and increase your market share, so you will need to create a detailed launch or pre launch strategy. Think about rebranding your business to appeal to your new niche. Moving or expanding is likely to cause disruption in your services and delivery. If your IT system is not working as it should, it is important that you outsource the network development and make sure that you are able to get the help whenever you need it. Your internet service and internal server needs to be up and running by the time you move and set up your new office, or your customers will be upset having to wait longer than usual for their products or services to be delivered. It is crucial that you communicate the change and the new brand messages, vision, and values with your team as well as your business partners and customers. Update your address and contact details on your website, so you can help people get in touch and avoid confusion. You might also want to send out emails and create a social media post about your new location and services, so your stakeholders know when the changes take place and now they can get in touch. One of the growing pains businesses go through when trying to expand their operations is that they chase new business too much and neglect their existing loyal clients. If you would like to avoid losing clients, you will need to delegate the task of customer management to one of your team members, and ensure that the needs of your current subscribers and buyers are met, even during the transition period. You might think that you will have enough money to see through the transition and grow your business, but you need to be prepared for the unexpected. 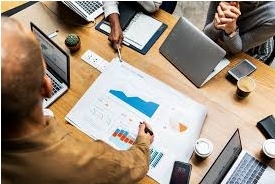 If your current accounting system is not working with the new computers, or your projects get delayed, maybe you have to make changes to the office, you have to ensure that your daily operations don't’ suffer and you maintain a healthy cash flow. There might be several risks associated with your business expansion. It might be a good idea to have a chat with a company specialising in risk assessment, so you can address the problems before they occur. From regulatory risks to ones related to business continuity, there are plenty of areas you have to assess. Health and safety and employee relations are crucial in times of transition, as well. Changing your business and scaling up your operations is a stressful move. To ensure that everything is going smoothly, you will need to assess your current situation, your finances, your risks, and make sure that all the stakeholders are on board. Planning and communication are extremely important to maintain a healthy and sustainable growth and avoid growing pains.